The HTC Nexus 9 is Google’s latest tablet running pure, unadulterated Android, and it’s a very capable piece of hardware, made better because it’s running Lollipop, which is a big step up for Android overall. 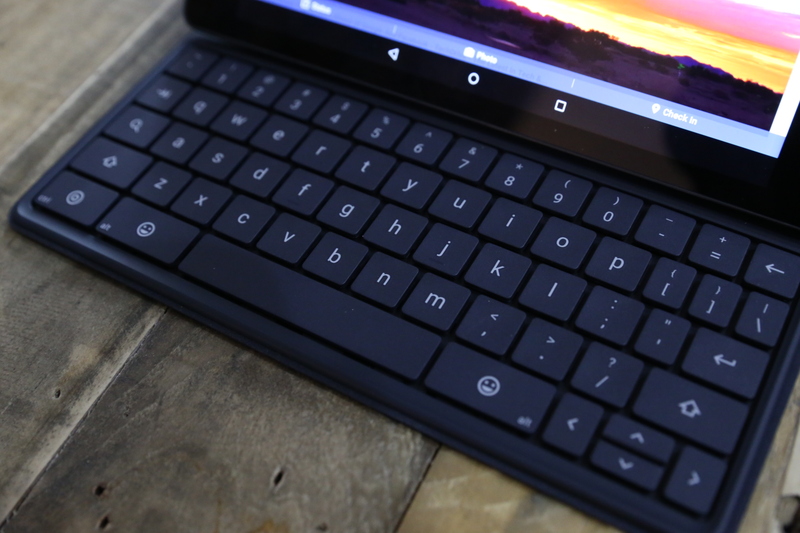 Google has just begun shipping Nexus 9 Keyboard Folio accessories, too, which give the tablet a magnetic cover with a built-in keyboard, complete with mechanical keys that actually offer decent travel, sort of like the Microsoft Surface Type Cover. It’s an accessory that inevitably leaves you thinking Google’s longterm Android tablet plans could be much more about competing with low-cost notebooks in the enterprise, rather than against other tablets like the iPad. The Keyboard Folio uses a segmented magnetic back component, just like the iPad cases, but it also has a full hardware keyboard on the other side, complete with keys that actually depress when you hit them, for a satisfying tactile clicking experience. The keys themselves feel like they have just a shade less travel than you’d get from an Apple Wireless Keyboard, for example, but with the same chiclet-style individual key design, and of course narrower gutters between individual keys. While the keyboard layout feels a little cramped, Google (and whoever is building their keyboard for them) has done everything possible to give the actual QWERTY letter keys as much of the available real estate as possible, while leaving less room along the sides for things like shift, enter, ,arrows, apostrophes and assorted brackets. 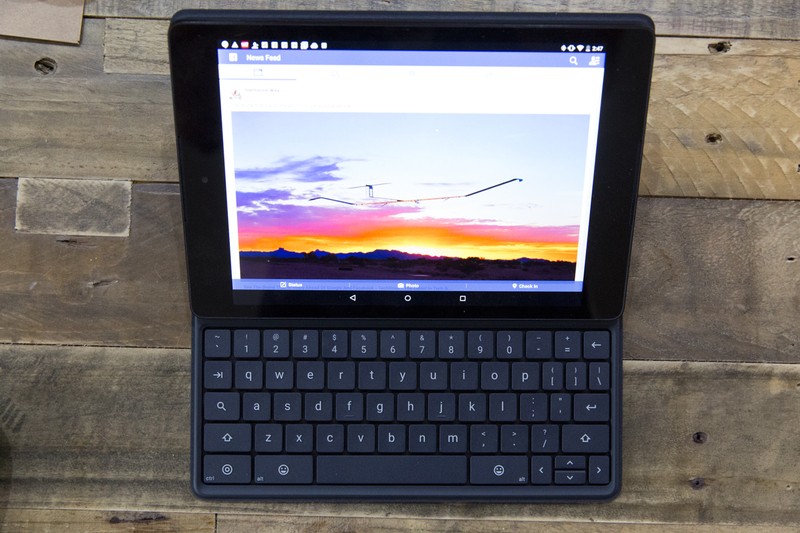 Typing isn’t exactly a joy on the keyboard built into the portfolio, especially when you don’t exactly have the daintiest digits, but the Nexus accessory makes the most of a situation that’s never going to be perfect, given the overall dimensions of the Nexus 9, and by extension, the portfolio case itself. Some handy dedicated keys do help out, including a search key where you might expect to find Caps Lock, which launches the Google Search function built into Android regardless of where you happen to be, both inside and outside of apps. You can also navigate the OS with the keyboard, using the direction keys to make your way around home screen icons, folders and even the new Android multitasking app switcher interface. Key combos can activate the browser, contacts app, Gmail, Calendar, Google Music, Hangouts and YouTube, too. Missing are some of the dedicated media keys you might be used to from iOS Bluetooth keyboards, like volume up/down and track playback controls. There are however key combinations that let you trigger Android’s software home, back and app switcher buttons without touching the screen, but you’ll have to learn and remember these, as they aren’t clearly indicated anywhere on the keyboard itself, and I had to figure them out by poring over the included information card (which is all visual and not anywhere near as arduous as having to dig into a manual). The Nexus Keyboard Folio’s magnetic connectors provide two different angles for typing, and despite the fact that the whole thing feels like it could potentially slide apart, it hasn’t actually done so in practice. 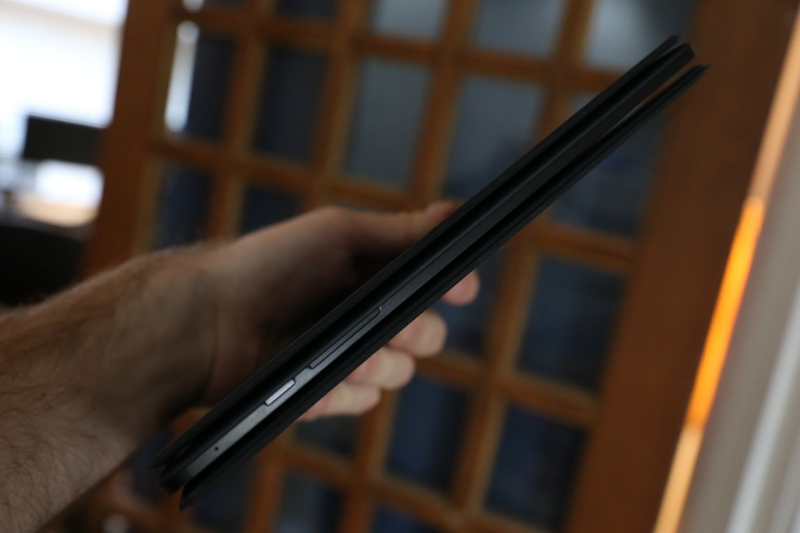 It’s also surprisingly light, and it also doesn’t add that much bulk to the Nexus 9’s overall profile. Connecting the accessory to your Nexus 9 is easy, thanks to built-in NFC for the initial handshake and Bluetooth for the subsequent pairing, and the Folio has a standard micro USB port for charging tucked away at the end of its spine. At the other end is the switch for turning it on and off, but once it’s on, Google says it should get around 5 months of battery life on a single charge with occasional usage, so you probably don’t need to use the switch that often. The Nexus 9 Keyboard Folio is $129 on its own, which is roughly in the same ballpark as most other keyboard cases out there. The way it works with the Nexus 9 in particular is seamless, though, and the magnetic attachment methods means it’s easy to either leave on or take off at a moment’s notice. The amount of travel the keys offer is terrific compared to the general field of similar devices, and the Android-specific keys and key combos work well, once you get used to them. In all, it’s a handy addition to your gear pack if you’re a Nexus 9 fan already, and one that makes it easy to see how people might be using these in lieu of standard notebooks in work settings where only light computing like email is required. 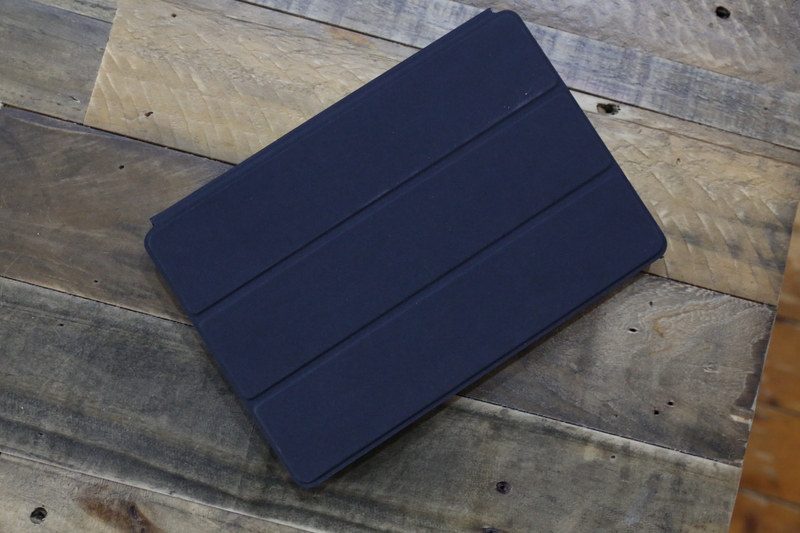 Rarely is an accessory as well-matched to its companion device as the Nexus 9 Keyboard Folio is to the Nexus 9.